I have a Blu-ray drive on my Windows 10 and some Blu-ray discs, I rarely play those Blu-rays even they are 1080P FHD videos, which are much better than DVDs. Blu-rays are still too much for people like me to have a large collection. But I do want to play them sometimes and make backups of them, which would be great. I am new to Blu-ray and have questions, but I think I have somehow found the answers and there are my ideas about how to play Bluray as well as DVD discs on Windows 10, macOS High Sierra, Mojave etc. A Bluray drive is your must-have for Bluray playback. I’d like to recommend some on Amazon. Internal Blu-ray drives are recommended for desktops running Windows . Among so many Blu-ray drives on Amazon, LG WH16NS40 Super Multi Blue Internal SATA 16x Blu-ray Disc Rewriter is the best seller as well as the Amazon’s choice and was rated 4.3 out of 5. With SATA as the interface, it should be compatible to any desktop computers. With 575.44 Mb/s 16x max read speed, it plays Blu-ray disc nicely and smoothly. And you are surely able to use the below recommenced USB drives as well. More and more laptops and all Mac computers nowadays don’t come up with even a DVD drive, not to say the Bluray drives. USB Bluray drives are the best option for those who want to play, rip and burn Bluray disc on PC and Mac. Pioneer Electronics USA Slim External Blu Ray Drive BDR-XD05S Silver are the Amazon’s choice and LG Electronics 8X USB 2.0 Super Multi Ultra Slim Portable DVD Writer Drive +/-RW External Drive with M-DISC Support (Black) GP65NB60 are the best seller! Both are rated 4.0 out of 5 stars and are recommended by me as well because they are USB 3.0 and no compatible problems with Windows 10 as well as MacBook, MacBook Pro, iMac, MacBook Air running macOS Sierra and High Sierra. Powered by XBMC, Leawo Blu-ray Player is an all-in-one movie player for both Windows and Mac. Except for the ability to play Blu-ray, Leawo Blu-ray Player is also able to play DVDs, HD videos, audio and ISO files on your Windows 7, Windows 8 and Windows 10 and macOS High Sierra, Mojave in lossless quality. It was once a paid program but now 100% free to play all Blu-ray discs with a handy experience. As you can see from the below user interface of Leawo Blu-ray Player, it is simple and straightforward! Follow the above download link to download and install Leawo Bluray Player. Install and launch it. For Mac users, you are required to install Java SE 6 runtime as well. 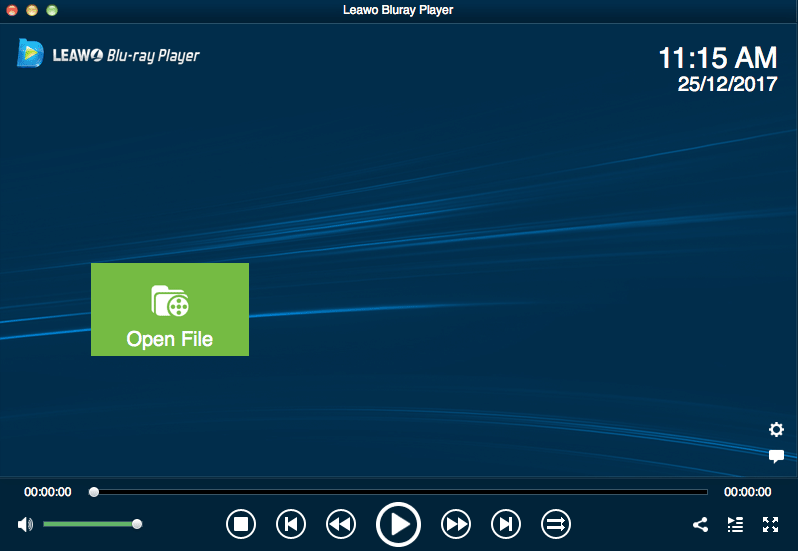 Simply follow the guide when you launch Leawo Bluray Player to download and install the Java plugin. Like DVDs, Blu-rays are also discs. They are expensive and should be extremely carefully treated. Keep them away from kids! I promise you kids will scratch your Blu-rays and destroy them. So for whatever purpose, I strongly recommend you to backup your Blu-rays. You are either backup your Blu-ray disc to another Blu-ray disc so as to play Bluray on any Bluray player or rip Bluray to MP4/MKV to play Bluray on any media player. 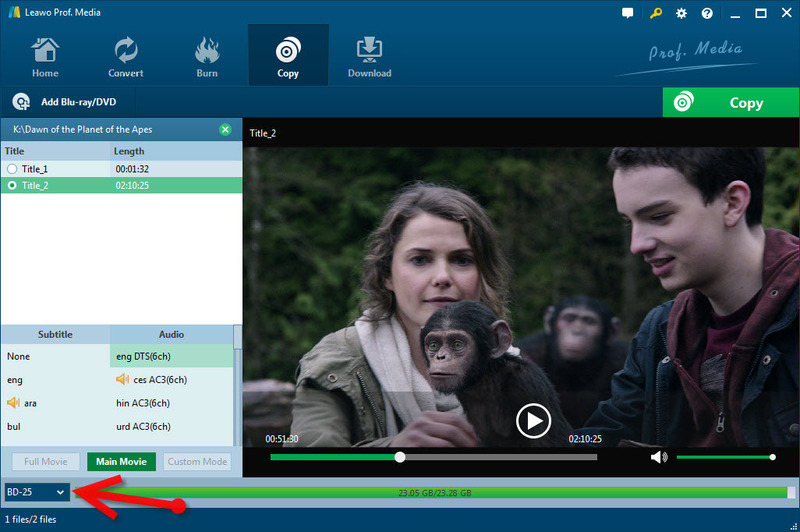 Leawo Bluray Copy is the very AnyDVD HD alternative that also works as a Blu-ray and DVD decrypter and copier that decrypts protected Blu-rays to unprotected Blu-ray disc, folder or ISO format. The backup disc is region free and can be used on any Bluray player for playback, including ones that hooked to your TV. You can also Shrink BD50 to BD25 with Leawo Bluray Copy. Besides, Leawo Bluray Copy also works for DVDs. And you are even able to compress Blurays to DVDs but I just don’t recommend so as it lose quality. You are also able to rip and convert Bluray discs to MP4, MKV, AVI, WMV so as to play Bluray on almost all media players and I’d like to recommend INNA for macOS users and MPC-HC for Windows users. So how can we rip and convert protected Bluray disc to MP4, MKV, AVI etc? I’d like to recommend Leawo Bluray Ripper. Leawo Bluray Ripper and Leawo Bluray Copy are functioning module of Leawo’s all-in-one program called Leawo Prof. Media. You don’t have to purchase all module but a single function module to meet your needs. Leawo Bluray Ripper is just the very program that enables you to play Bluray disc on any media player on your PC and Mac or iPhone/iPad/Apple TV as well as other devices from Google, Sony, HTC and even VR Headsets by removing restrictions from Blu-ray disc and convert to MP4 MKV AVI etc. Question: Can I Play a Blu-ray Disc on a DVD Player? The answer is NO. Although you can play a DVD in a Blu-ray Disc player, you cannot play a Blu-ray Disc in a DVD player. This is because Blu-ray Discs are embedded with more video and audio information than a DVD player is designed to read. In addition, the “pits” used to store the information on a Blu-ray disc are much smaller than a DVD, which requires a blue laser to read the information, whereas DVD players use red lasers. Question: Can I play every Blu-ray disc if I have a Blu-ray drive? I’m afraid the answer is NO either. If your computer came with a Blu-ray drive, you should already have some sort of Blu-ray-capable software on your computer. Along with the Blu-ray drive, you are supposed to have a program, generally a Blu-ray player, to enable Blu-ray playback on Windows. However, they are either clumsy or not user-friendly at all. Also, you are not supposed to play any Blu-ray with the default player and that is why I suggest Leawo Blu-ray Player.